Product prices and availability are accurate as of 2019-04-18 03:09:02 EDT and are subject to change. Any price and availability information displayed on http://www.amazon.com/ at the time of purchase will apply to the purchase of this product. Guaranteed 99.9% jam-free. 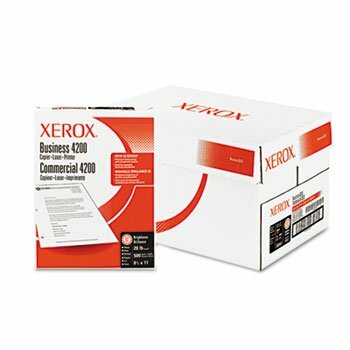 Designed for everyday use on all types of equipment including high- and low-volume printers and copiers, inkjet and laser printers, plain paper fax machines and offset printing presses. Performs for both single- and double-sided imaging. This product was made from wood that came from a certified managed forest. Size: 8 1/2 x 11; Paper Color(s): White; Paper Weight: 20 lb.